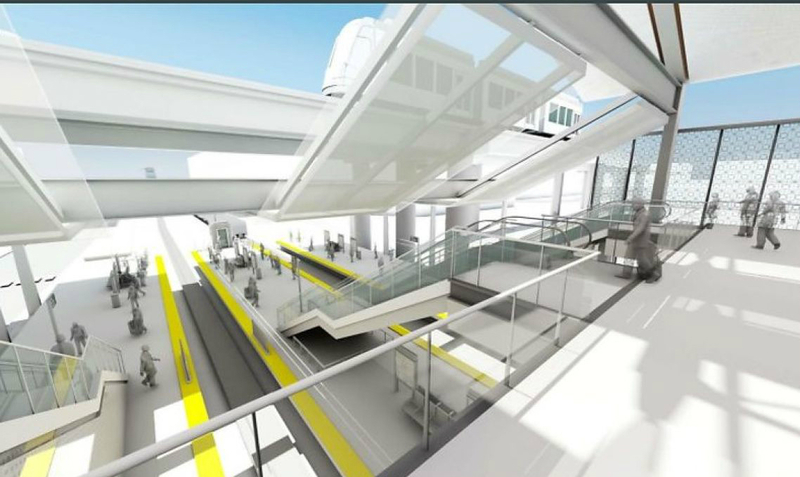 The LA Metro's 96th Street Transit Station at LAX is expected to open sometime between 2021 and 2023. 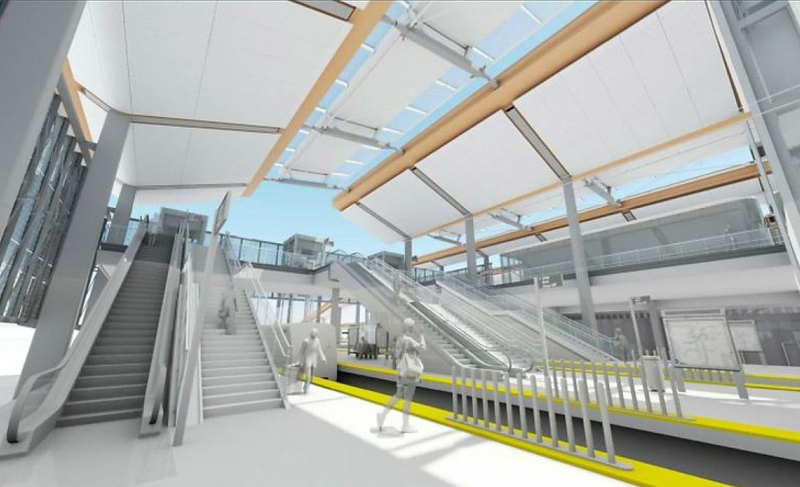 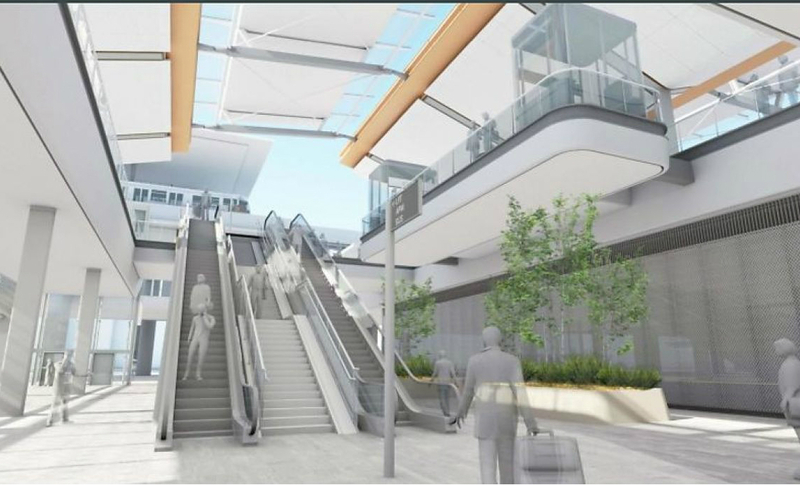 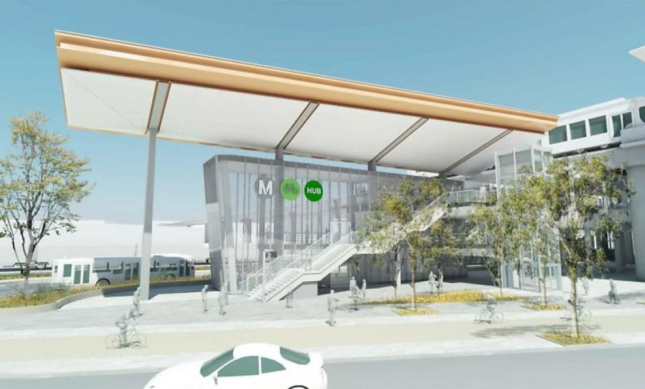 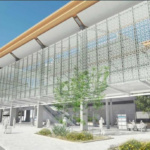 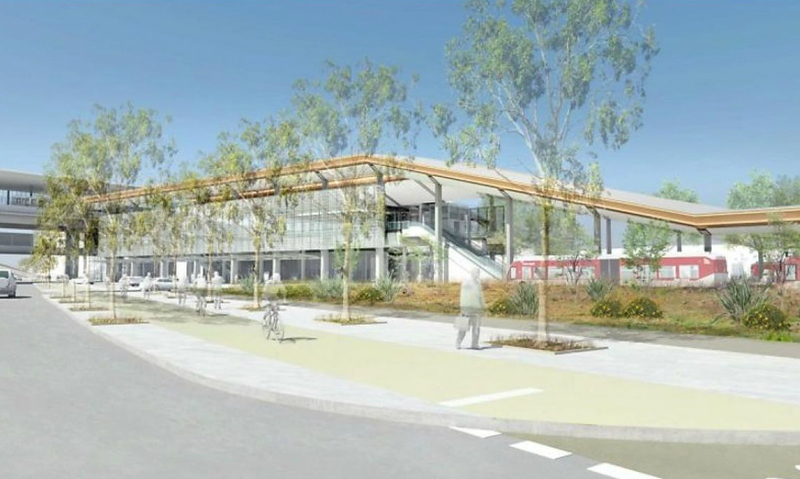 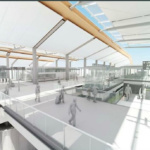 New renderings have come to light depicting the new Los Angeles County Metropolitan Transportation Authority’s (Metro) $600 million multi-modal 96th Street Transit Station serving Los Angeles International Airport (LAX). 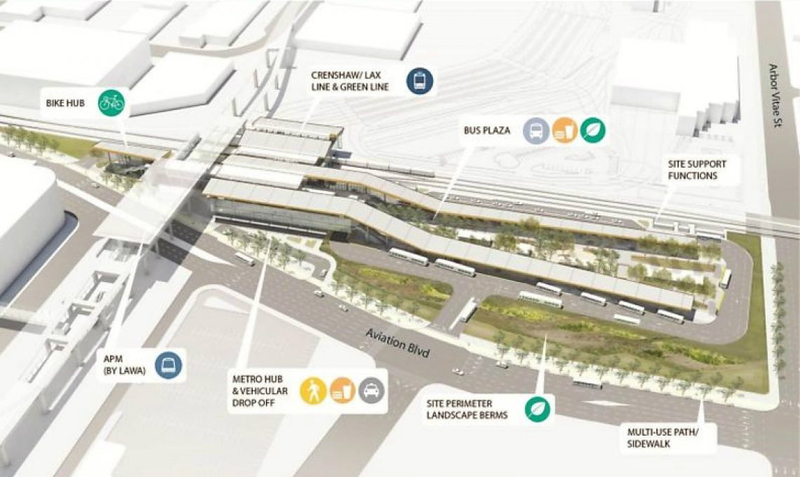 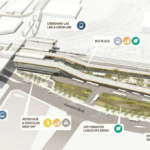 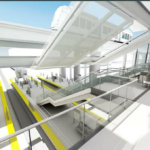 The link would connect mass transit riders on the Green and forthcoming Crenshaw/LAX light rail lines with the airport’s forthcoming automated peoplemover system. 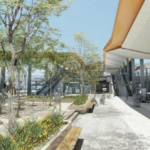 The renderings, first published by Urbanize.la, detail the forthcoming structure at the corner of Aviation Boulevard and Arbor Vista Street in South Los Angeles. 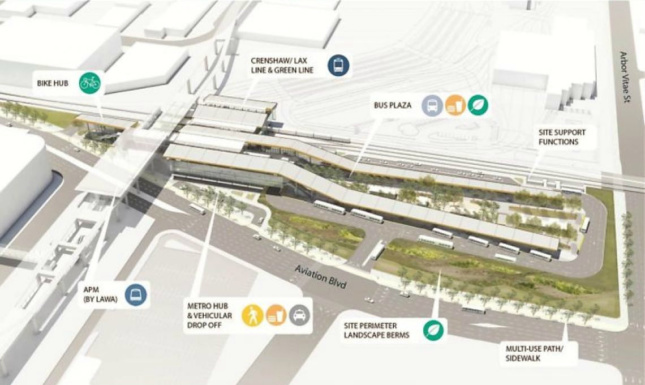 The station would span a 9.5-acre site approximately one mile east of the airport and would mark the first light rail connection to LAX in the airport’s history. 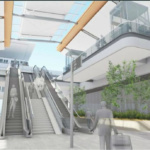 The airport is currently served by a shuttle service linking the Aviation / LAX station on the Green Line with the facility. 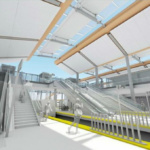 The regional Flyaway commuter buses and several traditional bus lines also connect to the airport, in addition to automobile traffic, taxi, and rideshare services. 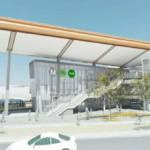 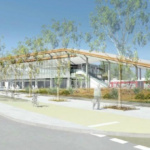 The transit station will include space for automobile drop offs, a bus bus terminal, and a bicycle hub. 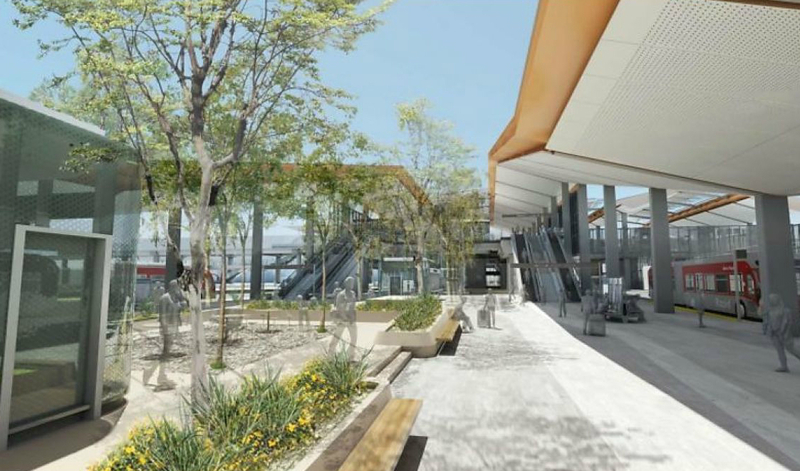 The new station comes as LAX undergoes a series of expansions and upgrades, including the addition of a new $1.6 billion international terminal and concourse by Gensler and Corgan meant to accommodate next generation Airbus A380 superjumbo and Boeing 747-8 Intercontinental jets. 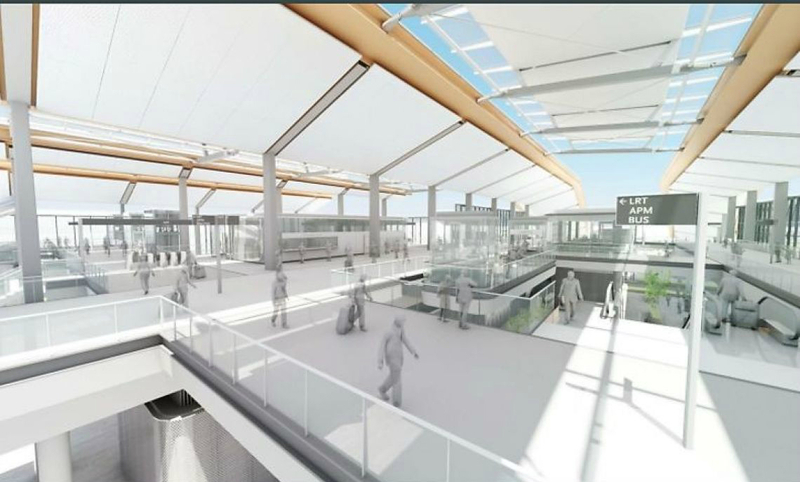 That expansion—dubbed the Midfield Satellite Concourse—would link to the existing Tom Bradley International Terminal via a pair of underground tunnels and would contain 50,000 square feet of gateway spaces, including a 44,000-square-foot food court and 60,000 square feet of lounges and other waiting area facilities, among other components. 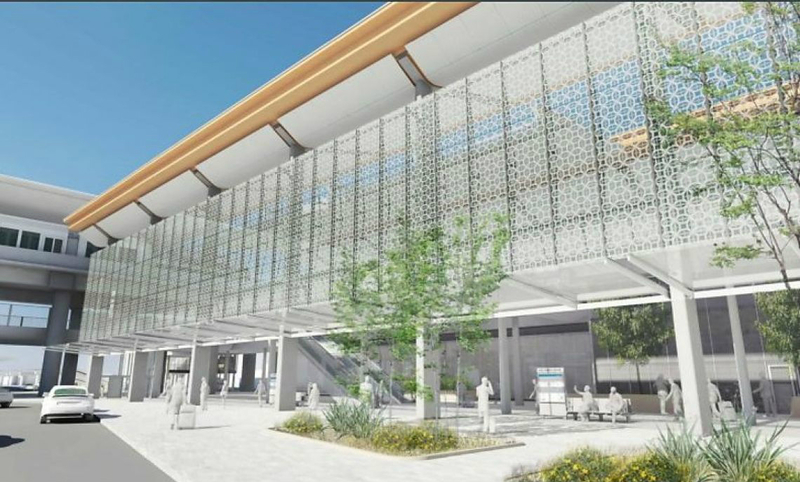 The new station is expected to open sometime between 2021 and 2023.